THIS I BELIEVE II is Tennessee Tech University’s 2016 #CommonReading Book! 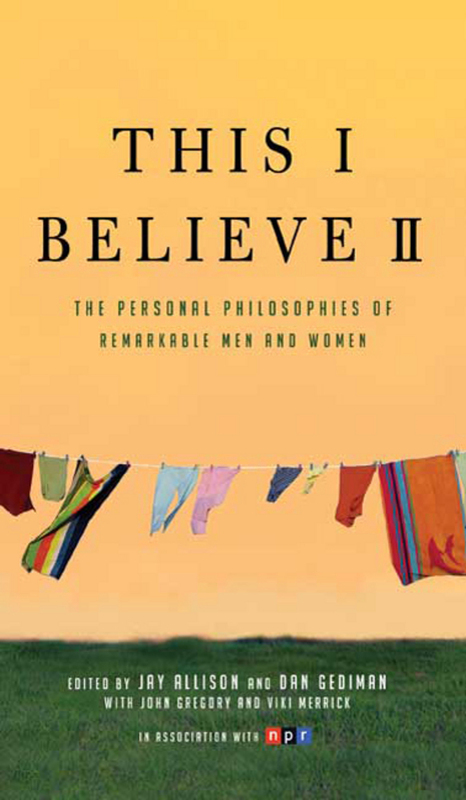 Tennessee Technological University has selected This I Believe II as their 2016 Common Read Book! All incoming first-year students are required to read This I Believe II this fall, and other university and community members are also invited to participate. Each first-year student will receive a copy of the book in their University Connections course in the fall. In addition to participating in classroom discussions about This I Believe II‘s themes, students will also have the opportunity to meet Dan Gediman when he visits Tennessee Tech in the fall. Gediman will give a keynote speech discussing his role in the preparation and selection of essays for This I Believe and This I Believe II, and he will host a mini-workshop to assist students in developing their own “This I Believe” essay. Following the workshop and the completion of their “This I Believe” essays, students will be invited to submit their essays for inclusion in Tennessee Tech’s own “This I Believe” collection. The essay collection will be published after the fall semester. Sister Helen Prejean, who contributed an essay to This I Believe II, is also expected to be on campus in the fall as part of Tennessee Tech’s Center Stage lecture series. Additional events are still being planned and more information is to come. Challenge students to broaden their personal perspectives through participation in a university and community-wide conversation. Introduce students to contemporary global issues. Develop intellectual engagement inside and outside of the classroom. Create a foundation for students to explore values and ethics. Provide an introduction to the educational experience at Tennessee Tech. Click here to see other schools that have adopted This I Believe II—and its predecessor, This I Believe. Visit our Popular Picks page for more common reading options from Macmillan! CITIZEN is Ramapo College’s 2016 #CommonReading Book! 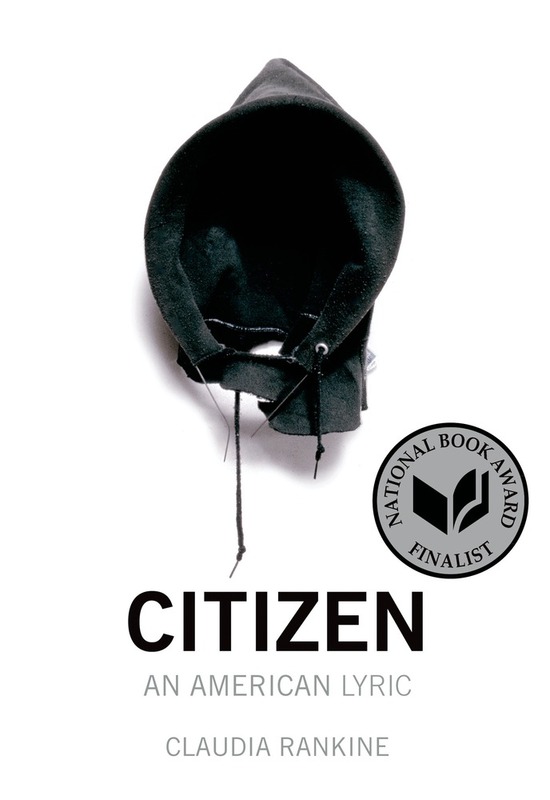 Ramapo College (NJ) has selected Claudia Rankine’s Citizen: An American Lyric as their 2016 First-Year Seminar Summer Reading Book. The project is the first written assignment for the First-Year Seminar. Although all students are required to complete the assignment, they are also able to submit their work to the Class of 202o Essay Contest. Entries must be submitted electronically to the Director of First-Year Seminar, and up to three winners will win a $200 prize and lunch with Rankine. Beyond the classroom, students will see Rankine speak on-campus on Sept. 6th at 2 p.m., when she attends the school’s Opening Convocation ceremony. The event provides students with an opportunity to establish an even deeper connection to Citizen. Click here to see other schools that have adopted Citizen, and more Popular Picks for common reading from Macmillan! Villanova University has selected Elizabeth Kolbert’s The Sixth Extinction for their 2016 One Book Villanova program. All incoming first-year students (roughly 2,500 students) will receive a copy of The Sixth Extinction in the mail over the summer. Faculty, staff, and community members are also encouraged to participate in the program, and will be able to purchase copies online through the school’s website, or directly from the Falvey Library Main Desk. Participants are expected to read The Sixth Extinction before arriving on campus in the fall. 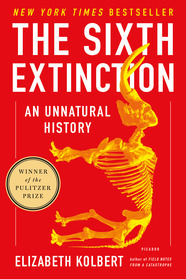 The Sixth Extinction will be required reading in many courses, and will also be the focal point of discussion groups. In addition to these discussion groups, Villanova University will hold public readings and other special events throughout the 2016-2017 academic year to encourage students to explore the book’s major themes. Elizabeth Kolbert will also speak on campus on September 22, 2016. More information on these events is to come. A committee comprised of faculty, staff, and students from Villanova University selected The Sixth Extinction for the One Book Villanova program. Each year, the committee accepts book nominations online from all members of the University community—faculty, staff, students, parents, and alumni—and then ultimately narrows the list down to several finalists. The purpose of the One Book Villanova program is to select a book worthy of close reading, discussion, and course adoption. The school will use The Sixth Extinction to stimulate dialogue among all members of the campus community, and to encourage students to engage with their peers and members of the surrounding community. Villanova University’s common reading program is unique because it is a community reading program, not just a first-year student initiative. 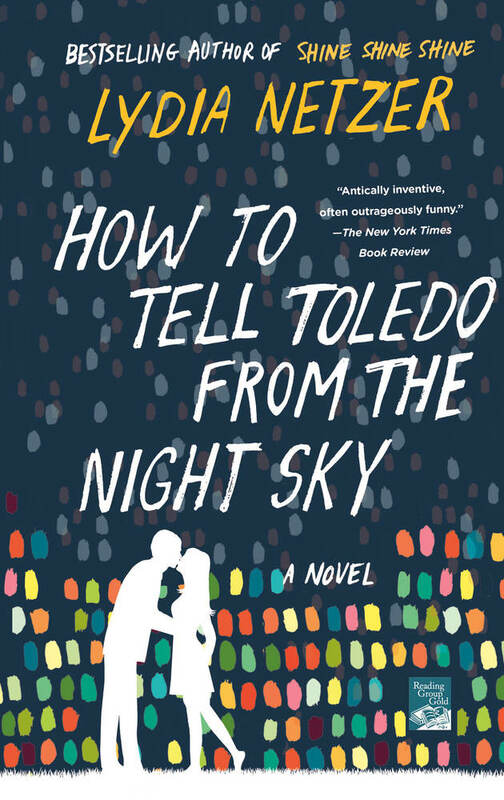 In addition to students and other members of the University community reading the book, local book clubs and organizations have also become affiliated with this program. Click here to see other schools that have adopted The Sixth Extinction and here to learn more about Kolbert’s first novel, Field Notes from a Catastrophe. Visit our Popular Picks page for more common reading options from Macmillan! The City of East Lansing and Michigan State University have selected Ben Rawlence’s City of Thorns as one of the books for their 2016 One Book, One Community program! 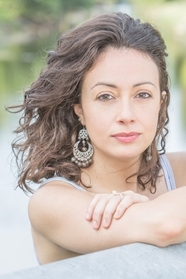 All incoming first-year students are required to read City of Thorns—as well as the program’s other pick, Sonia Nazario’s Enrique’s Journey—before arriving on campus in the fall. City of Thorns will be used in numerous classes and residence hall activities, and it will be the subject of a variety of city-campus programs and special events. Each year, the program also brings the authors to the community and to Michigan State University to welcome the new first-year students to campus. Ben Rawlence will visit the East Lansing community in mid-September. More details on his visit and other events are to come. The theme of this year’s One Book, One Community program is “Faces of Migration: The Human Experience,” and it focuses on the emotions and personal experiences of individuals on migration journeys. 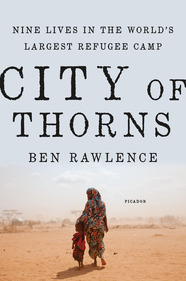 City of Thorns was ultimately selected because the program felt that the book is”vivid” and “illuminating,” it tackles topics that are relevant to both students and the general community, and it fits the selected theme; the book interweaves the stories of nine individuals living in the Dadaab refugee camp in Kenya. The purpose of the One Book, One College program is to encourage the Michigan State University and surrounding East Lansing community to read the same books, and come together to explore the books’ themes and issues. It is one of the first community reads programs to bring together students from a major university and the residents of its surrounding community. The program seeks to build an intellectual and social rapport among students and community members through the collective experience of reading, thinking, and discussing challenging ideas and themes that tackle important social issues. Additionally, the program strives to provide Michigan State University’s incoming first-year students with a shared learning experience that introduces them to the intellectual rigor of college-level academics. Chaffey College in California has selected Rainbow Rowell’s Eleanor & Park for their 2016 One Book, One College program! Students will be able to purchase copies of Eleanor & Park from Chaffey College’s bookstore. Many instructors will incorporate Eleanor & Park into their courses, and require students to read the book. Throughout the year, all students will also have the opportunity to participate in a variety of events, in and out of the classroom, related to the book. While more specific information on the 2016-2017 events is to come, past events have included film screenings, food tastings, visiting speakers, faculty lectures, essay contests, dialogues, live performances, blogs, art exhibitions, and more. 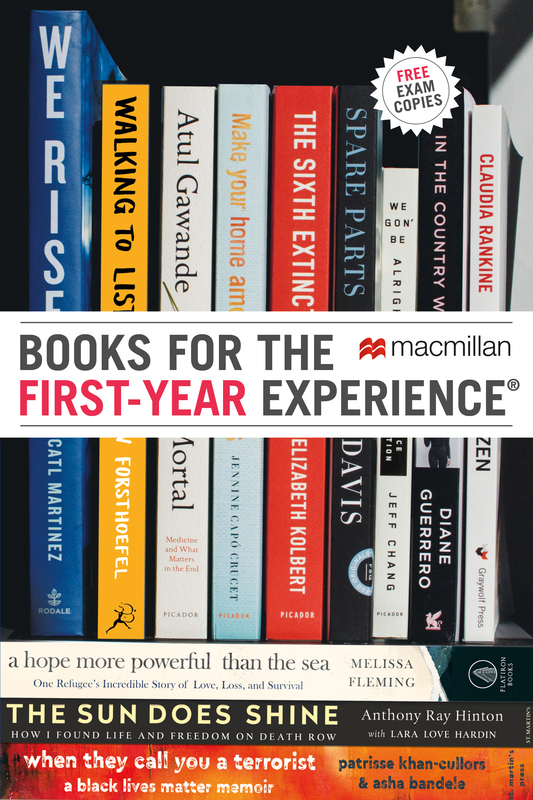 Each December, a committee comprised of faculty and staff nominates books for the following year’s One Book, One College program, and then votes on the candidates. 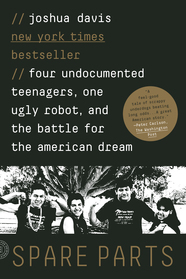 According to one of the Committee members, Eleanor & Park was ultimately selected because the Committee believes that “students will connect with many of the book’s themes, including first love, isolation, bullying, abuse, family strife, gender identity, race, class, and social acceptance.” The Committee member also noted that Rainbow Rowell‘s beautiful and engaging writing, as well as the opportunity for a diverse array of events to be held on campus in conjunction with the book, contributed to the Committee’s final decision. The goal of Chaffey College’s One Book, One College program is to encourage college-wide conversation, creativity, and interdisciplinary planning. It produces independent programs and events, as well as activities in conjunction with local book stores and other interested partners. The school also uses this program to unite students from different disciplines and class years, and to ignite a sense of community. The University of Michigan’s College of Engineering has selected Joshua Davis’s Spare Parts for their 2016 Engineering Common Reading Experience program! All incoming first-year students will receive copies of the book in the mail during the month of June. International students will receive an eBook, unless they specifically request hard copies. Students are expected to read Spare Parts before arriving on campus for Welcome Week in September. During the fall, students will be involved in small discussion groups, which will be led by current Michigan Engineering students. These discussion groups will allow incoming students to explore topics in the book, as well as provide them with an opportunity to connect with fellow students and learn about the Michigan Engineering experience first-hand from current students. Beyond the classroom, the University of Michigan’s College of Engineering will also host a number of Common Reading Experience events associated with Spare Parts throughout the semester. More information on these events is to come, but in the past these events have included a featured speaker, a writing contest, volunteering opportunities, and various workshops. The goal of the University of Michigan College of Engineering’s Common Reading Experience program is to provide first-year students with the opportunity to connect with their fellow classmates, as well as current students, faculty, and staff. The school hopes that reading Spare Parts will allow students to engage with the book’s themes, and also unite them with the Michigan Engineering community. Click here to see other schools that have adopted Spare Parts, and other Popular Picks for common reading from Macmillan! 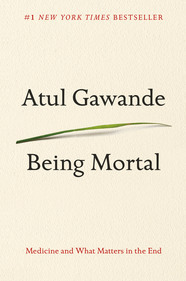 The University of North Carolina at Chapel Hill has selected Atul Gawande’s Being Mortal for their 2016 Carolina Summer Reading program! All incoming first-year and transfer students are expected to read the book over the summer and participate in small group discussions on the Monday before fall 2016 classes begin. The book is available for purchase in the campus bookstore. Being Mortal was selected as the 2016 Carolina Summer Reading book by a nine-person committee consisting of faculty, staff, and students. Over the last several months, the Committee narrowed down the initial pool of 169 book nominations to seven finalists. Out of the seven finalists, Being Mortal was the Committee’s unanimous first choice. UNC-Chapel Hill explained that they selected Being Mortal for a variety of reasons, including that the book is “well-written, it honors human diversity and success, and it is a celebration of life that challenges readers to respect human dignity.” However, the school’s committee ultimately chose this book because they felt that it addresses issues in medical and health sciences with a multidisciplinary lens that makes it relevant for a variety of majors, and it tackles topics that have not received enough opportunities for dialogue. The Carolina Summer Reading program aims to stimulate critical thinking outside of the classroom, and give new students common intellectual ground. It is used as an academic icebreaker, and it encourages students to engage with the scholarly community and come to their own conclusions about the material. The UNC-Chapel Hill community was already familiar with Atul Gawande because he was the school’s 2014 Commencement Speaker. His Commencement speech confronted the graduating crowd with a story of children suffering from cancer. Yet, his message ultimately focused on the resources of strength and resilience people find to flourish in life—despite adversity—by connecting with a purpose larger than themselves that aids others. Click here to see other schools that have adopted Being Mortal, and other Popular Picks for common reading from Macmillan!